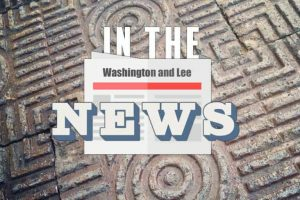 The Tax Clinic at the Washington and Lee University School of Law has been awarded a matching grant from the Internal Revenue Service’s Low-Income Taxpayer Clinic program (LITC). This is the eleventh straight year that the Tax Clinic has received federal dollars to support its efforts. The grant of $85,000 will help fund the clinic for the 2018 calendar year. This brings the total federal funds awarded to the clinic since its inception to $740,510. Law students working in the Tax Clinic provide free legal representation to low-income taxpayers in resolving their controversies with the Internal Revenue Service. The Clinic students assist taxpayers with audits and a wide array of collections issues. The clinic also represents taxpayers in cases before the U.S. Tax Court. Last fall, law student Roland Hartung ‘18L appeared before the U.S. Tax Court to represent a couple from Virginia disputing the IRS’s determination that a settlement award they received constituted gross income. Through the work of the students, most cases are resolved without the need for a trial. In addition, students in the Tax Clinic undertake outreach efforts to educate taxpayers on tax law issues of relevance to low-income and working families. 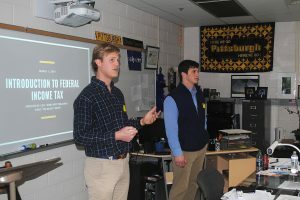 For example, students created a presentation and explanatory materials on the changes resulting from the tax reform bill passed in December 2017. The Tax Clinic serves the entire state of Virginia. At least 90% of the clients represented by the clinic are “low-income”, meaning their incomes do not exceed 250% of the Federal Poverty Guidelines published annually by the Department of Health and Human Services. For example, a family of four making less than $62,750 per year is eligible to use the Tax Clinic’s services.